ETERNAL is the third and final book in the Winterhaven series, which follows Violet McKenna as she enters the Winterhaven School–a school where everyone has psychic abilities. At Winterhaven, she meets the mysterious Aidan Gray and learns how their destinies are linked. Violet McKenna is the main character. She wants to learn how to put her psychic ability to good use, and how to keep the horrible visions she sees from coming true. What movies or other books would you compare your book to and why? People inevitably compare the series to the Twilight books (for obvious reasons!). The series features a mix of both psychic elements and paranormal creatures, along with a strong female protagonist. There is a very strong romantic subplot running throughout the series. The romance is pretty important to the story, as the heroine’s destiny is linked to the story’s main love interest’s. 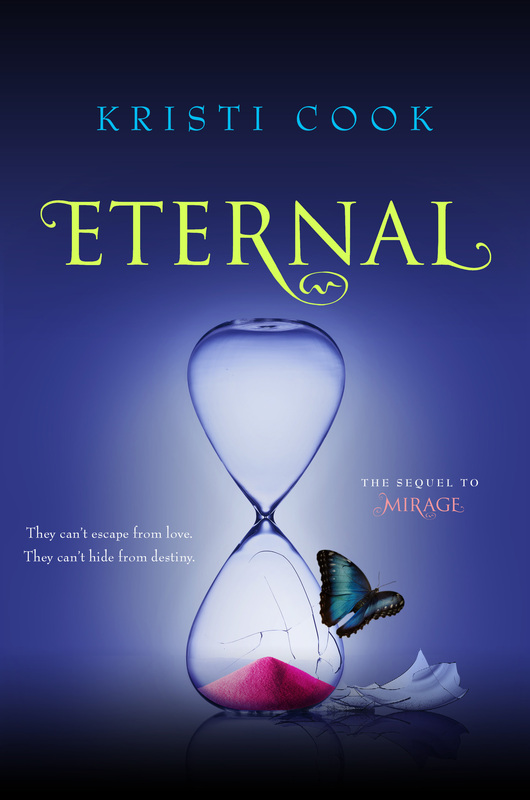 ETERNAL is the final book in the Winterhaven series, following HAVEN and MIRAGE. ETERNAL is available now at bookstores (Barnes & Noble, Indigo, etc.) and online booksellers such as Amazon. Yes–signed hardcover copy of HAVEN (the first book in the series). U.S. and Canada only. Just make a comment on this post by Wednesday, October 16th to enter. Your a new author for me. Sounds like a great book that I would love to read. Congrats!…and for sharing with us. Your books sound great. I love the cover of Eternal. Thank you for the giveaway. She’s a new author for me too. I’ve heard of this series, but never got around to really checking it out. Thanks for the chance! I find it’s very important to read as well as write. Reading is a part of learning how to hone ones writing skills. I would enjoy reading your book and learning your style of writing. Every writer has their own unique style, whether the story is in first person or third person point of view, etc. Congratulations on the success of your book. You are a new author for me and I would enjoy reading your book. Reading will always take you on a new path for adventure and learning. Finishing a new and well written account in some one’s words can have the reader yearning for new paths of adventures.